Most of us are familiar with the little rhyme: “Good night. Sleep tight. 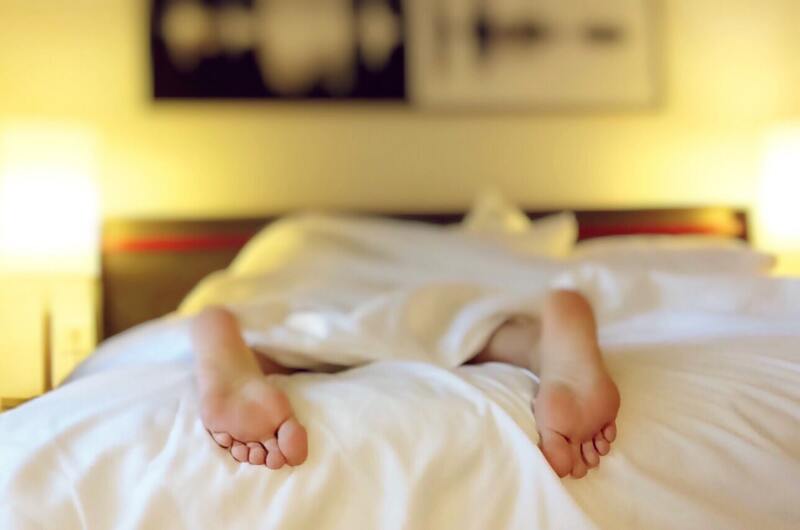 Don’t let the bedbugs bite”. This age-old rhyme has taken on a special meaning for Los Angeles landlords as Los Angeles juries have awarded bed-bug suffering tenants multi-million-dollar judgments. Los Angeles Attorney KC Marie Knox isn’t just a talented lawyer. She has a creative, artsy side that made recent news. 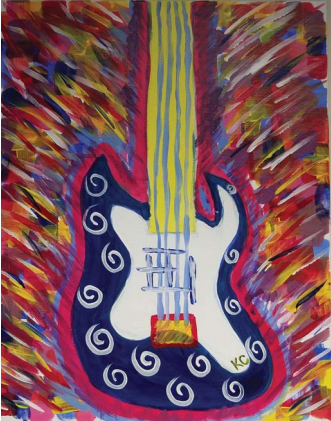 KC was recognized by the San Fernando Valley Bar Association’s “Valley Lawyer” magazine for her painting of a (bass) guitar. KC MARIE KNOX is a partner at Hymes, Schreiber & Knox, LLP, a law firm in Woodland Hills focusing on business, real estate and wealth protection. She received her JD the University of San Diego School of Law and has spoken on various topics for the National Business Institute, and has served as an adjunct professor at Abraham Lincoln School of Law. We have changed the name of our firm from Anker, Hymes & Schreiber, LLP to Hymes, Schreiber & Knox, LLP. The name change comes after the passing of Samuel H. Anker and the promotion to partner of our long-time firm member, KC Marie Knox. KC Marie Knox received her Juris Doctorate from the University of San Diego School of Law and, after several years of practice, began working with our firm in 2007. KC has been an integral part of the firm, focusing her practice on estate and business planning, probate, trust administration and estate litigation. KC brings a depth of experience to our firm and its clients. KC has had her articles on “Digital Assets” published in the San Fernando Valley Lawyer Magazine and has been a presenter for the National Business Institute, speaking on issues related to elder law. She volunteers as a settlement officer with the Probate Settlement Panel at the Los Angeles Superior Court. In addition to her work as an attorney, she is an adjunct law professor at Abraham Lincoln University School of Law teaching courses in Wills, Trusts & Estates as well as Community Property since 2011. KC, along with her husband and two children, have close connections with the San Fernando Valley where they work, volunteer, and go to school. KC volunteers as a Board of Trustees Member for Northridge United Methodist Church and as a Girl Scout Leader. Business Attorney Doug Schreiber of Anker, Hymes and Schreiber, LLP answers the question of what to do when things get heated in a negotiation. Mediator: What do you do in a contentious situation? This sounds like everybody’s having a great time and you can figure out must haves, and you can walk away. What do you when it’s contentious? What are the other sides weaknesses or pressure points? Provides immediate cash to pay estate taxes and other expenses after death. Reduces estate taxes by removing insurance from your estate. Inexpensive way to pay estate taxes. Proceeds avoid probate and are free from income and estate taxes. Gives you maximum control over insurance policy and how proceeds are used. Can provide income to spouse without insurance proceeds being included in spouse’s estate. Prevents court from controlling insurance proceeds if beneficiary is incapacitated. For more information about Life Insurance Trusts, you can contact our Estate Planning Attorney in Woodland Hills, Los Angeles today.